Are you looking for looking for a new snack or desert to add to your diet? 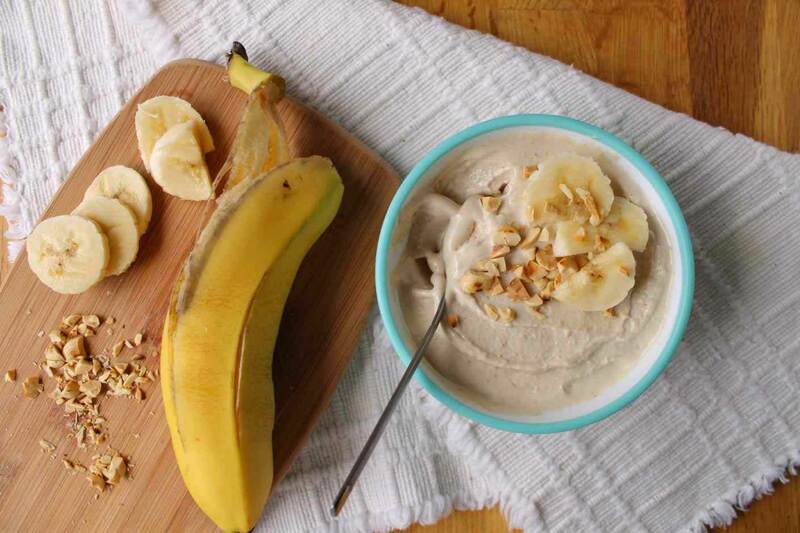 Here at Fitness in Abu Dhabi we love this Banana Yogurt recipe! Banana Yogurt is deliciously simple and is dairy-free! If you eat half of the recipe you are only consume 152 calories! 1. Soak the chia seeds for at least 30 minutes in the almond milk. You can do this step the night before to ensure that the chia seeds are fully soaked. 2. Soak the cashews in water for at least 30 minutes. There should be enough water to cover all of the cashews. 3. In a food processor combine all of the ingredients and blend until smooth. If required, add more almond milk.